College at home, but away from home. Liberal arts, pre-professional, teacher training, nursing program, dominantly Christian, dormitory facilities. Spokane's scenic country homes estates. "Campus among the Pines" Fully accredited liberal arts education. Excellent campus facilities. Reasonable costs. "L.C. Graduates who have chosen Whitworth." 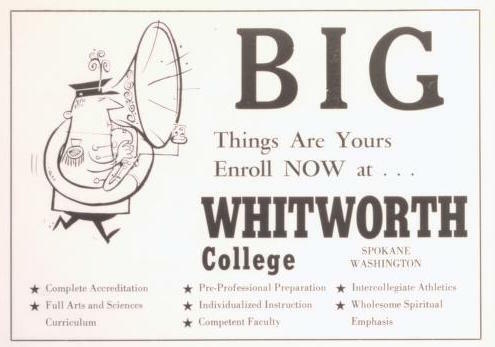 For further information address Office of Admissions, Whitworth College, Spokane, Washington. 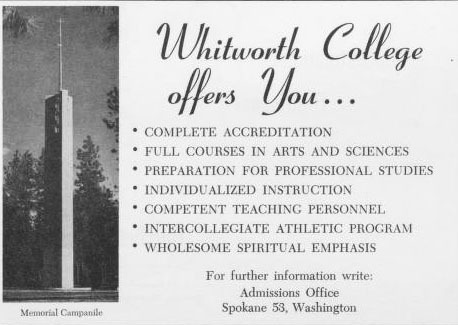 Whitworth College offers you... complete accreditation, full courses in Arts & Sciences, preparation for professional studies, individualized instruction, competent teaching personnel, intercollegiate athletic program, wholesome spiritual emphasis. 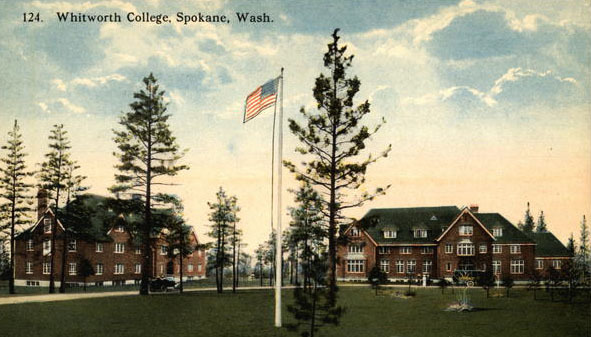 For further information write: Admissions Office, Spokane 53, Washington. Big Things Are Yours. 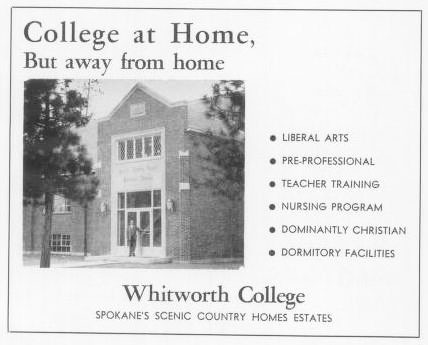 Enroll NOW at Whitworth College. Complete Accreditation, Full Arts and Sciences Curriculum, Pre-Professional Preparation, Individualized Instruction, Competent Faculty, Intercollegiate Athletics, Wholesome Spiritual Emphasis.